How Do I Pan Fry Fresh Fish With a Little Oil and Cornmeal? Can I Fry Tilapia Without Batter? Cornmeal is only one option for coating tilapia. 1 How Do I Pan Fry Fresh Fish With a Little Oil and Cornmeal? Crisp batter-coated tender fillets of a mild fish such as tilapia is the heart of classic fish and chips. The batter keeps the fish moist while adding crunch. However, that's not the only way to fry tilapia. 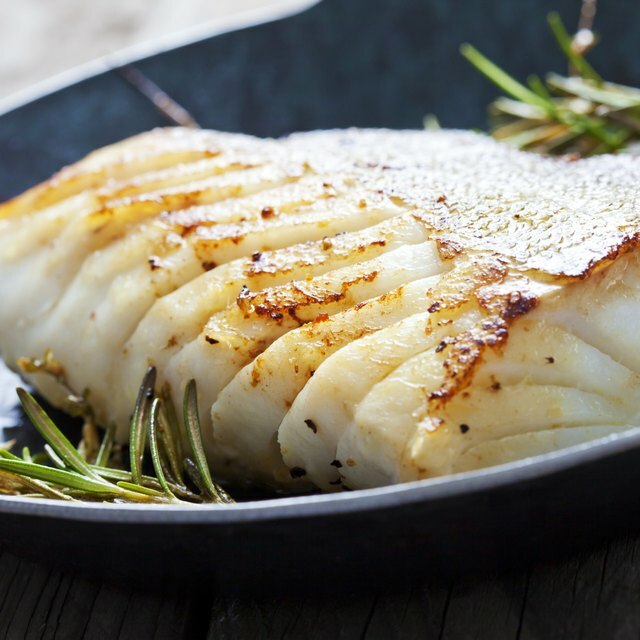 The buttery texture of tilapia takes to different coatings and frying methods. Fry tilapia until the fish flakes easily and the internal temperature reaches 145 degrees Fahrenheit. Instead of batter, use a crunchy coating such as crushed tortilla chips, potato chips, crushed crackers, cornmeal or breadcrumbs. The trick is getting the coating to stick to the tilapia. One method is to dip the fillet into melted butter, then into the coating. Another option is to brush egg whites on the fillet, then dip. Milk and buttermilk also can be used to get the coating to stick, as does an egg wash. Dredge the fillet into flour, dip it into an egg wash, then into the coating or back into the flour. Deep-frying involves frying in enough oil so the tilapia fillet is completely submerged. It cooks quickly and if the temperature is maintained at 350 F throughout the frying time, the fish is not greasy. Too low a temperature and the coating absorbs oil. Too high a temperature results in the crust burning while the interior of the fillet is raw. Another method of frying is sauteing in enough oil to coat the bottom of the pan generously. Oven-fried is a combination of using the oven as the heat source rather than on top of the stove. The fish is cooked on both sides at the same time, unlike sauteing, where the tilapia is cooked on one side, then flipped over to cook the other side. Not every method works with every way of frying. For example, the butter-dipped fillet won't work deep-fried, but the egg-wash method does work. Coatings of chips work better sauteed or oven-fried. Crackers and crumbs work for all three methods. Tilapia doesn't need a coating. Season the fish with your favorite herbs and spices. Tilapia has a delicate, mild flavor so don't go overboard or all you'll taste are the seasonings. Try a dusting of dill, thyme or chervil. Fry the fillet in a slick of oil in a medium-hot pan. Squeeze juice from a fresh lemon, lime or orange on the fish before serving it.